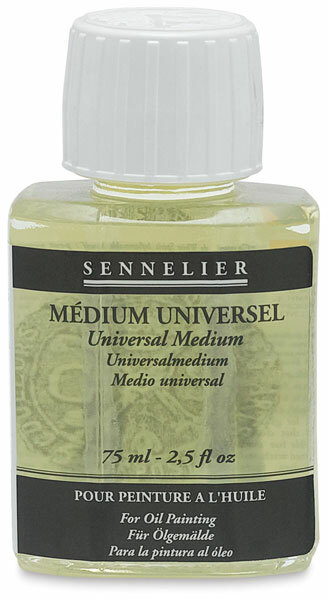 Sennelier's Médium Universel is a colorless, liquid gloss medium that adds body and volume to the paste, ideal for glazing and “alla prima” painting techniques. It speeds drying, imparts a gloss that does not diminish noticeably during drying, and brightens colors. 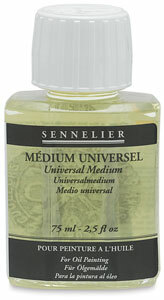 This Universal Medium is also suitable for creating thin, flickering layers of color that dry quickly. Thin with mineral spirits or turpentine. Comes in a 75 ml (2.5 oz) glass bottle.